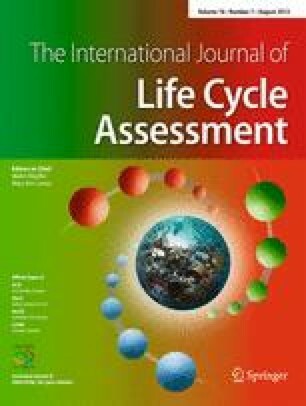 This study aims to investigate the social implications of palm oil biodiesel via a case study using a life cycle assessment framework. The case study was conducted in Jambi Province of Indonesia and involved several stakeholders, such as value chain actors, employees, local community members, government, and nongovernmental organization representatives related in palm oil industry. The assessment was carried out using social criteria developed by adopting the Society of Environmental Toxicology and Chemistry/United Nations Environment Programme Code of Practice, supplemented by an expert survey, and supported by literature review. Stakeholders’ perspectives were evaluated by determining the gaps between expected and perceived quality of each social criterion, which are gauged using seven-point Likert scale. Twenty-four social criteria were developed and aggregated into five social impact categories: human rights, working condition, cultural heritage, social–economic repercussion, and governance. These criteria have been weighted, useful for further application in multicriteria decision analysis. The results of the stakeholders’ survey reveal the critical social hotspots, which are the issues within the impact categories of working conditions and cultural heritage. In order to achieve the social equitability of palm oil biodiesel, which is an important pillar to sustainability, efforts must be put to address these social hotspots through actions in various policy level. The online version of this article (doi: 10.1007/s11367-013-0581-5) contains supplementary material, which is available to authorized users.